They say, “Local is lekker” and you can’t get any more local than this. A community project started by Kingdom Life Academy, a local church in Phoenix has blossomed into an overnight sensation. 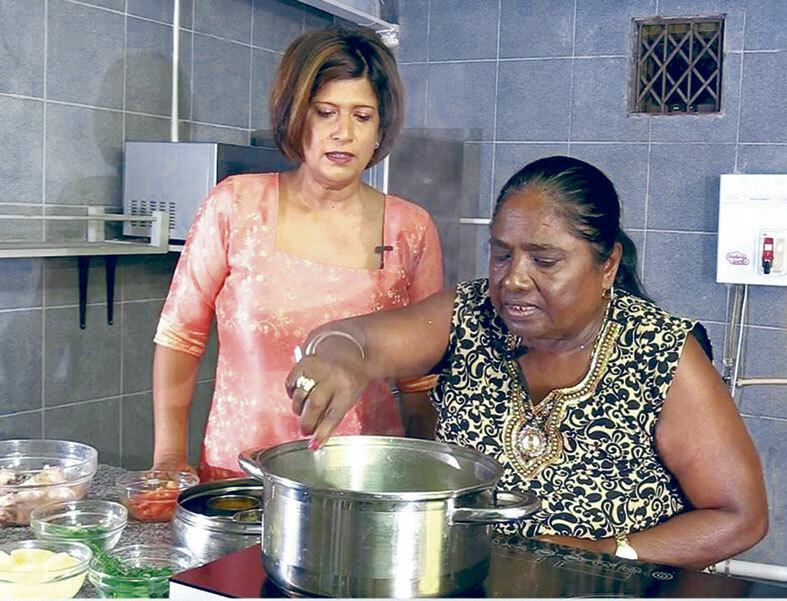 Speaking to The Phoenix Tabloid, member of the church and brains behind the project, Clinton Wayne Pillay said, “Passing It On was created to document our culinary heritage by giving the older generation an opportunity to share their recipes with us. There was no way of knowing how much this fast food generation misses, and feels nostalgic over the recipes from their childhood. “Facebook users were shocked when Reena Govender and Aunty Neela Moonian made their debut in October last year with the pilot episode. Aunty Neela with her cheeky wit, charmed audiences while she showed them how to cook mealie rice kitchari with dry fish and boiled egg chutney. The pilot episode has been viewed over 20 000 times on Facebook. The response has been overwhelming, with people from all over the country giving positive feedback and even requesting episodes on their favorite dishes,” said Pillay. Much to Kingdom Life Academy’s surprise, was the number of people from other race groups and nationalities that follow the show as well. “It seems that they finally have the inside scoop on how to cook like an Indian aunty, responses have come from as far as New Zealand. Due to the success of the show, it has expanded to incorporate the recipes of different generations. Michelle Naicker came on board to host the Generation X cooks. She focuses on faster meals, since both parents are working these days. A millennial version will be added shortly, the chances are, they will just show the viewers how to order take out. Home cooked meals are a lost art but we hope to revitalize it with this show,” added Pillay. The show currently has over 2000 followers with new episodes released every Sunday at 6am. Episodes can be viewed on their Facebook page: ‘Passing It On’ and on Youtube: Passing It On. For more information contact Clinton Pillay on 082 688 2429.